People come and go, so does all the traffic that is flowing into your site. Visitors take a look at your site, browse some pages, but not a single conversion takes place. While traffic is essential, as businesses, your end goal is to convert visitors into paying customers. But, how? There are many ways to improve your conversion rates, but let’s start within your own website. How can you optimize your website for better conversion rates? Simple, ask yourself: how can our website be more useful to our visitors? Today, we have outlined some of the best website optimization tips to turn you into a highly converting site. At the end of this post, you will be better equipped on boosting your overall website experience and help you win more conversions and keep more satisfied customers today. Before we proceed to the other website optimization tips, let’s begin with the product pages first. This is on top of the list because the center of conversion is really through your product page. Whatever you are offering, physical goods or services, optimizing your product page means maximizing its primary purpose: to sell. Take your product page as a decision stage of the buyer’s journey. It is where most of your visitors take the time to consider and decide of either buying the product or ultimately abandoning your store. 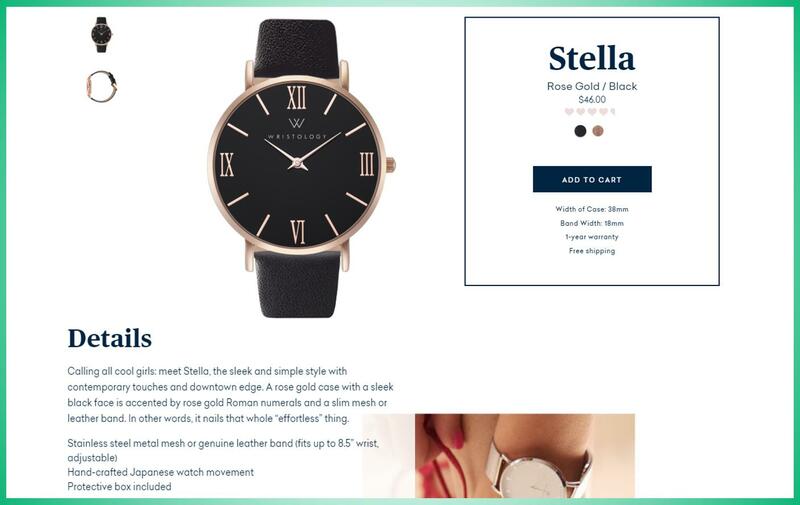 Product pages are made because they serve as your pitching model to tell your visitors what the product is all about, what are its features and benefits, why it is worth the purchase, and how it is at par or even better with its rival product — all the most compelling reasons to push your customers to conversion. Your product image is the most crucial element of your product page. It is the first thing that your customers inspect and considered as the top priority of shoppers when selecting and purchasing a product. Through your product images, they can already answer some of the questions in your visitors’ minds without going through the product description. Thus, it is paramount to use multiple angles shots of the product. This is a good way to tell your customers that you are not concealing a bad side of your product. While there is no definitive study to support the right number of product images, the image size does matter. A study revealed that larger images boost conversions by up to 63% compared to smaller ones. By large product images, it does not mean the space allocated on the product page but it’s more on the high-definition quality of the image. For instance, you can enable zoom-in or 360-degree features to allow visitors to inspect the product closer. 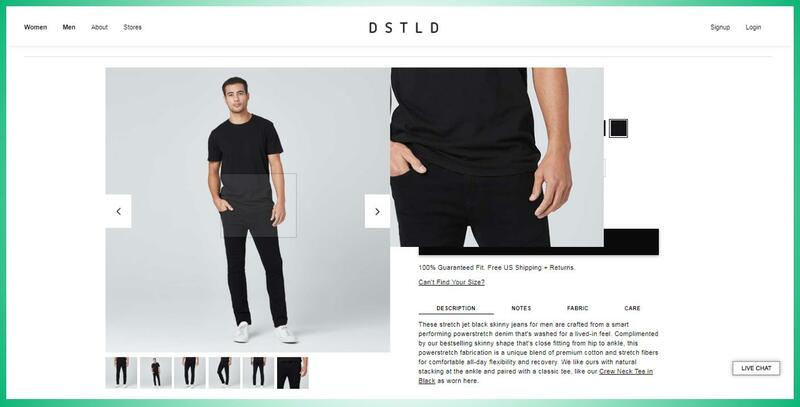 For example, DSTLD displays several angles of the product with a zoom-in feature that pops out a high-resolution image on the corner. The job of your product description is to accompany your product image to tell more about the product. It helps in filling any gaps or answer any questions that your product images cannot relay immediately. While you have salespeople in a brick and mortar store to help shoppers with their questions, on a website, you primarily rely on your contents. This is why improving your product descriptions is one of the best website optimization tips for better conversion rates. Product descriptions serve as a way to explain more about your product. To improve your product descriptions, use words that would pop out in a normal conversation and would resonate to your target audience. Cut the jargons and avoid complicated sentences. Write as if you’re talking to someone in real life. As much as possible, try to sound friendly, positive, and welcoming. This signals your shoppers that you are an engaging brand. The authentic style of writing from Wristology’s is a perfect example of a highly optimized product description. It sounds like its target audience’s personality and voice. More than 50% of all internet traffic is now coming from mobile devices. If you plan to run a successful website, it is especially vital to ensure that your website is primed for mobile viewing. Not only that you’re catering to a hefty number of potential customers, but websites optimized for mobile show up higher in search engine results page. Does your mobile site load within 3 seconds? 40% of visitors will leave a mobile website if it doesn’t load within 3 seconds. This means that you only have less than 3 seconds to impress your mobile shoppers and keep them interested to stay. If it takes them more than that, then they’ll get impatient and frustrated leaving your with no conversion at all. Want to know how fast your site on mobile? Run this mobile speed test. The test will give you a report on how fast your mobile’s loading time is, how is your loading time compared to your competitors, and what are the fixes to speed it more up. A smaller screen means it’s more challenging for visitors to navigate your site. For mobile devices, it can be difficult for people to look for what they want. Visitors are more likely to get frustrated if they have to always zoom in for details or hunt around just to find the right information. Simplify your mobile site’s menu and try to keep your contents as visible as possible without having the need to zoom in just to read. Is it easy to take action? It should be fast and convenient for visitors to perform regular tasks such as product searches and purchases. Eliminate a number of steps to simplify a process or complete a transaction. Conversion starts by fostering and nurturing a positive relationship with your customers. But, if you don’t act as quickly as possible from the time your visitors land your website, then you are cutting the possibility of that relationship and eventually wasting a number of potentially qualified leads. Why not strategically put an email sign-up form on your website to address this? Capturing your visitors’ emails will give you ample time to foster relationships and convert your visitors into paying customers in no time. And while popular email opt-in lists are pop-up forms, a great alternative is using a header bar to entice your visitors to subscribe on your email list. Using a header bar for your email subscription form is one of the best ways to capitalize on the most visible part of your website: your header. For instance, instead of using a popup form, Adrenaline uses a header bar to ask for their visitors’ email addresses. They also offer a compelling discount as an incentive. Using SiteKit’s SmartBar you can build your email list and promote it on your site’s header. It will stick on top of your page to remind your visitors of your email opt-in without disrupting their shopping experience. Make it more compelling by offering incentives for a successful sign-up. 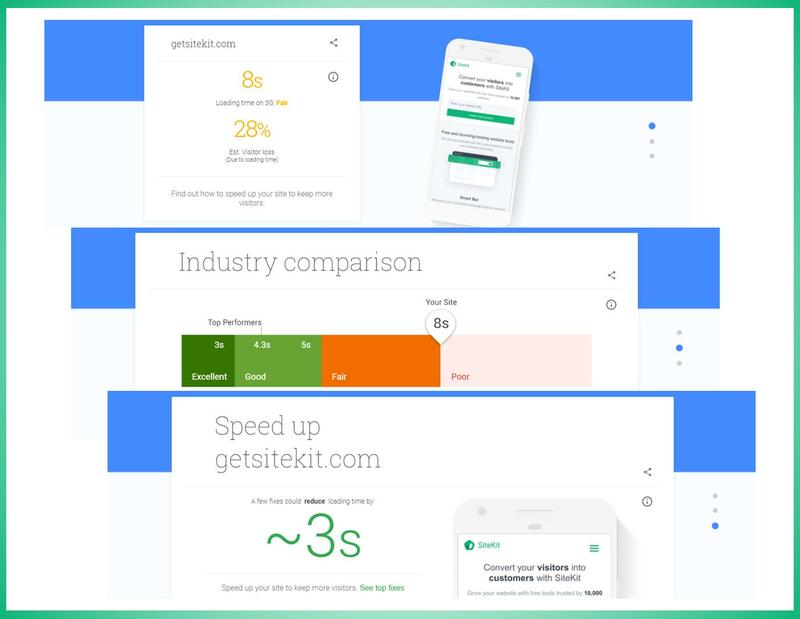 Interested in How to 3X Boost Your Conversion Rates with SiteKit? When it comes to the best website optimization tips, personalization should be one of your priorities. While it is a broad undertaking to discuss, personalization just means implementing methods to have a more personal or individualized approach on the way you interact and communicate with your customers. more likely to shop with websites that recognize and remember them. You can implement personalization by analyzing your visitors’ personal data such as demographics, psychographics, browsing history, buying behavior, and other facets apropos to their buying process. And then, visitors with similar profiles can be segmented to deliver personalized landing pages, pricing, offers, recommendations, and more. The moment visitors enter your website, personalization should already be in action. Your homepage holds a gateway to direct them to the most relevant items and link the products they are most likely to purchase. You can personalize your homepage by dynamically changing the contents of your homepage based on the type of visitor (e.g. : returning or new). You can reward new customers or thank returning visitors with special offers. You can personalize the shopping experience and at the same time maximize your shopper’s average order value by offering relevant items on their shopping cart. For instance, Modly personalizes the shopping experience by displaying a targeted cart recommendation. Whenever visitors add an item to their carts, Modly suggests relevant items as additional offers based on the shoppers’ carts. Not all shoppers who added an item to their carts will push through their transactions. In fact, 7 in 10 visitors will ditch their shopping carts and abandon your website empty-handed. Now, if you translate it, that’s a lot of possibly lost revenue slipping away through your fingers. What are you doing about it? Instead of just looking at your visitors walking away, why not salvage them before they even leave your site? That’s the beauty of having an exit intent technology in place. What it does is to detect when visitors are about to leave your website without successfully purchasing. Then, when the visitors are ready to click the exit button, a popup form will appear with compelling offers like discounts or freebies to prevent them from leaving and instead will push them to continue their shopping. For example, Prudent Farms employed an exit-intent technology to pop up a message that tells their visitors to “Wait!” and pay attention to their discount offer before leaving the site. You can also steal one of these website optimization tips by using the Better Popups feature of SiteKit. This has an exit-intent feature that enables you to display captivating last-minute deals or discounts to help you entice your abandoning visitors to stay on your website and complete their purchase. Another crucial area of your website is the checkout page. This page is the deciding phase as to whether or not your shoppers will complete the purchase. Even if customers made it all the way to the checkout page, there’s still a good possibility that they’ll abandon your site if something goes wrong at the checkout page. Many websites still commit the deadly mistake of complicating the checkout process which turns away customers. A wildly unclear and confusing checkout page sidetracks and disrupts the customers from their main goal: to complete the purchase. Customers are frustrated when they see unnecessary items that slow them down. Let alone experiencing glitches or errors during the checkout process. Customers tend to get frustrated when they are required to register. Offering a guest checkout will help your customers with a convenient way to complete their purchase without having to register an account. You can also use alternative registration such as linking their Facebook accounts. A great example is how Adidas offers shoppers to sign-in using their chosen social media account. Displaying a progress bar will act as a visual cue of where your customers are in the checkout process. This visual cue is one of the effective website optimization tips to alleviate your customers’ impatience during the checkout process because you’re giving them an idea if they’re about to complete their transaction. One of the biggest challenges customers face is when they cannot find the perfect products they’re looking for. Imagine your customers going through several pages and links and still couldn’t find the right item or if unrelated item pops up. This frustrates and disappoints your customers preventing them to make a purchase. You need to optimize your website to help your customers find exactly what they are searching for and help you win a conversion. You can easily implement this by improving your website’s on-site search capabilities. The better the matching search results are, the higher the chances of successful conversion. In fact, websites with on-site search capabilities have 1.8x more effective conversion compared to those with none. Enable a faceted search and navigation options for your products to help your visitors narrow down their searches matching up with several product attributes like product category, size, color, and others. Configure your on-site search and navigation to correct misspellings and automatically offer synonymous terms to enhance the relevance of the search results. For example, Amazon automatically corrects misspellings and offer the right and related search terms. While traffic is essential, many businesses have come to fully realize that an increase in website traffic does not really translate to successful sales. Thus, it is crucial for any website owners to pay close attention to how they can better improve their conversion rates. Conversion is when you drive your visitors to purchase your products or services which means more revenue for you. Without the right strategies in place to drive your visitors into conversion, it means that you are just wasting all the traffic that’s coming into your website. Don’t let your visitors slip away through your fingertips. Address this by going through some of the best website optimization tips that you should implement today. These website optimization tips will help you navigate on how to enhance the most crucial areas of your website that directly affect conversion, some real-life practices of industry leaders, and few of the best tools to use to put these website optimization tips into action and help you boost your conversions and your sales today. © SiteKit 2019. All rights reserved.